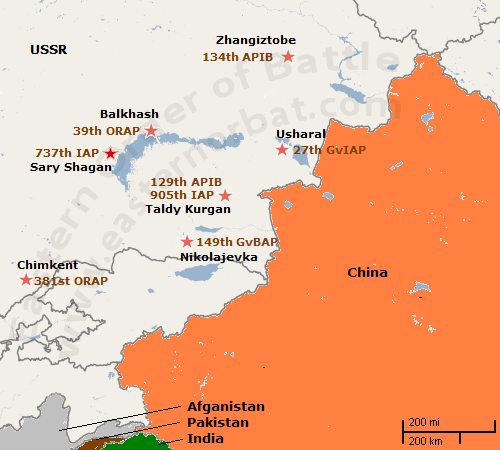 At the end of the seventies, major changes happened along the Sino-Soviet border! In 1979 China launched the offensive in response to Vietnam's invasion and occupation of Cambodia, also known as the Third Indochina War. After the short Sino-Vietnamese War, the Soviet Union deployed more military units at the Sino-Soviet border. The Soviet Central Asian Military District received the new Motor Rifle Division. The new 167th Motor Rifle Division command deployed in the city of Semipalatinsk. The 1st Army Corps received the new division which was then transformed to the 32nd Army. The tactical air divisions were reorganized. The 73rd Air Army had two mixed air division which became specialized. The 10th air division was transformed to a fighter, while the 24th air division was transformed to a fighter-bomber division. In 1979, the Soviet Union marched into Afghanistan. 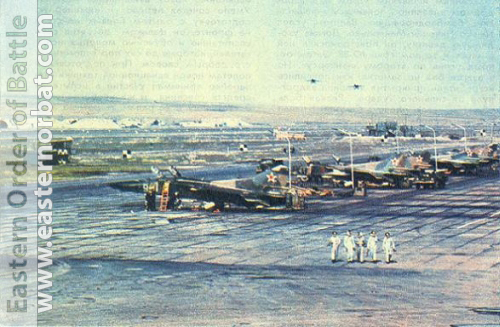 Multiple units of the 73rd Air Army supported the invasion. The 39th regiment sent Yak-28R Brewer-D and MiG-25RB Foxbat reconnaissance machines, while the 149th Guard Bomber Air Regiment sent two squadrons of Yak-28I Brewer-C bombers to the Soviet-Afghan border. In 1980, the entire 181st helicopter regiment moved to Afghanistan with Mi-6 Hook and Mi-8T Hip types. In 1980 the 73rd Air Army command was reorganized and became the Central Asian Military District's Air Force Command. The fighter forces were increased and modernized. The 10th Guard Fighter Air division received the discontinued 12th Independent Air Defence Air Army ex. interceptor 737th Fighter Air Regiment. 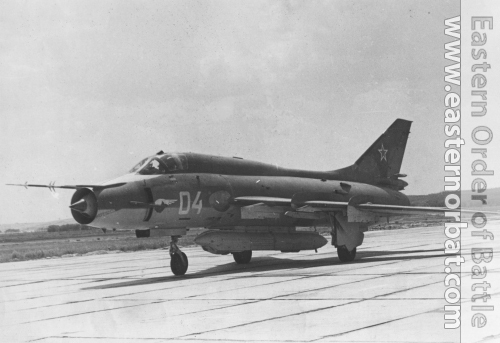 Between 1980 and 1981 at the 905th Fighter Regiment the MiG-21SMT Fishbed-K type was replaced, also at the 737th regiment the Su-9 Fishpot interceptor was replaced with the MiG-23MLA Flogger-G version. Thus, the 27th Guard Fighter Air Division had two regiments flying with MiG-23 Flogger from the mid-eighties. 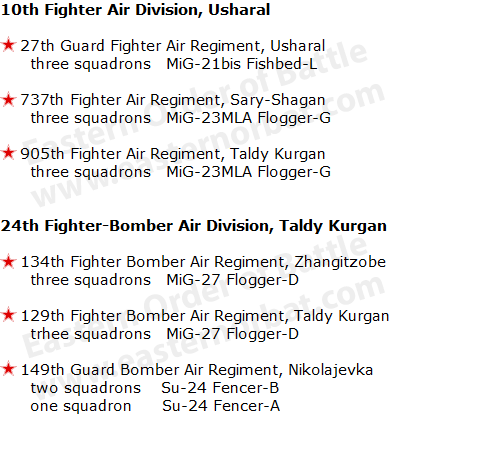 The bomber forces replace the old MiG-21s and Yak-28s. Between 1979 and 1983, two regiments of MiG-27 Flogger-D and one regiment of used Su-24 Fencer-A/B arrived in Kazakhstan. 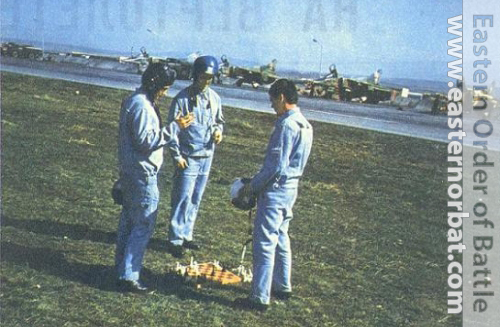 The crews of one squadron of the 381st independent Reconnaissance Air Regiment's was fighting in Afghanistan for a year with MiG-21R Fishbed-H type. Meanwhile, the 381st regiment's both air squadrons received Su-17M3 Fitter-H Reconnaissance airplane between 1980 and 1982.